When Alexander Wang joined Balenciaga, he changed the course of the ship. Instead of focusing within the brand’s comfort zone, which is maintaining the motorcycle handbag collection, he introduced a new series of feminine handbags. 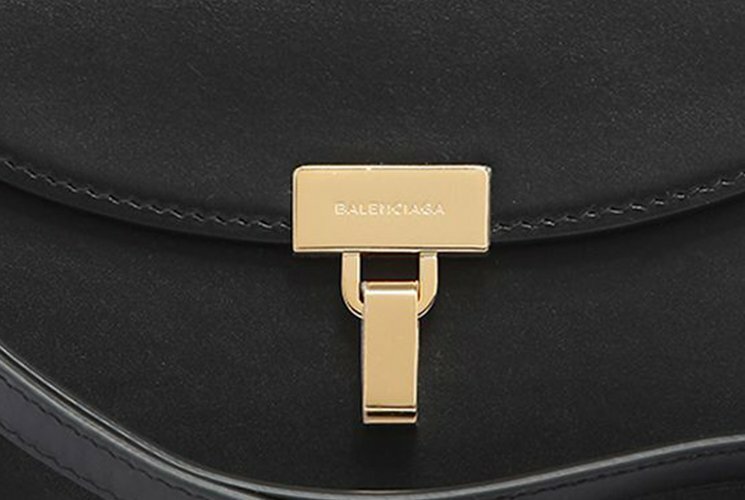 This new shift changed the image of Balenciaga forever. 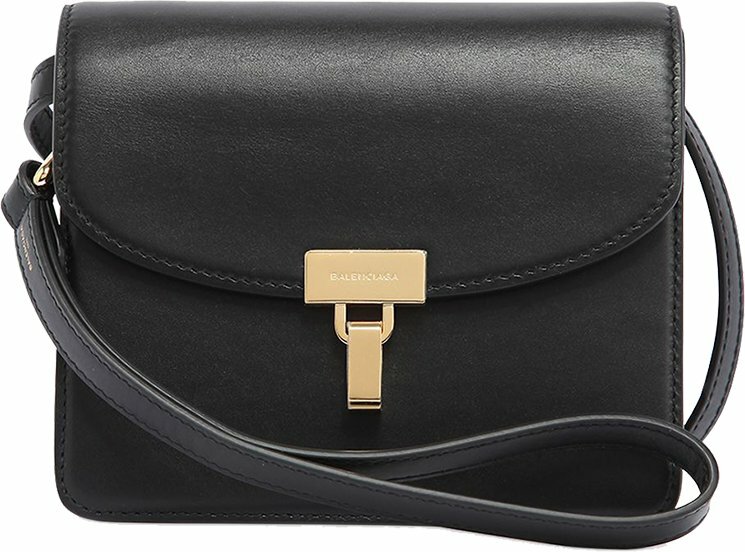 We still love the motorcycle handbag though (and its still available), but there are now more and innovative handbags to choose. Simple, streamlined and above all timeless. These are the keys to create a successful classic handbag. This Lock Bag has it all. 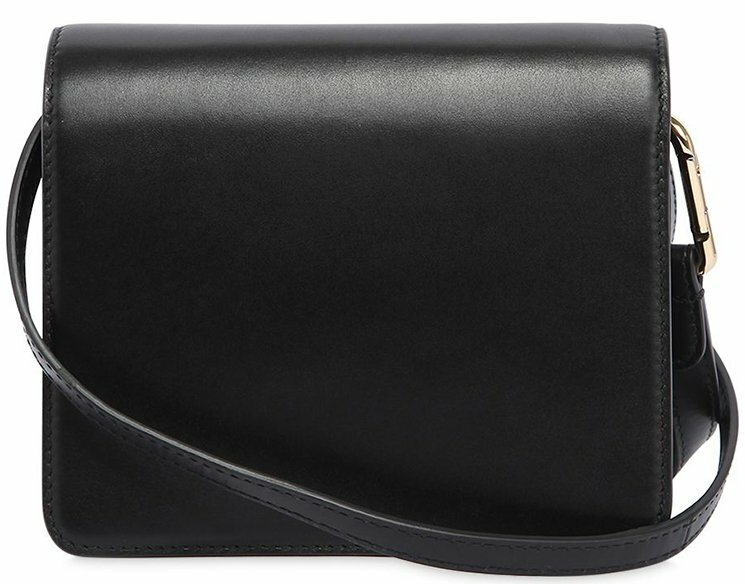 It’s crafted with a boxy shape and curved front flap. It’s painted in solid colors, including the classic black. 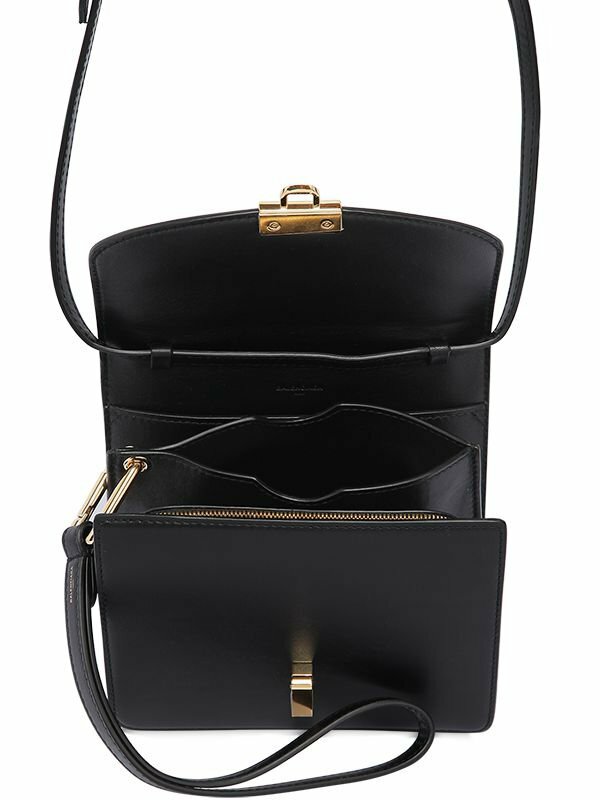 The bag features a leather strap for shoulder carry or cross body carry. And it’s made with durable calf leather. The center is the most important piece – this closure is designed in golden hardware and it’s printed with the house’s logo. The interior is quite structured with multiple pockets. Inside you will find a zip pocket, patch pocket and a what-seems-to-be a removable pouch with strap. 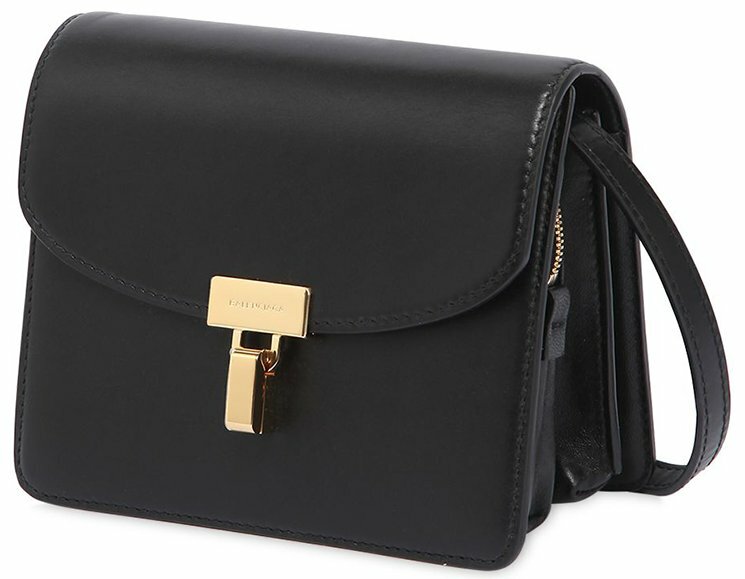 This bag is measured 18 x 14.5 x 6.5 (H x W x D) cm and is priced at $1595 USD, $2661 CAD, €1290 euro, £1095 GBP, $2350 SGD, ¥166320 JPY, $2000 AUD. You can find this bag via Luisa Via Roma.